Shhh! I'm going to share a secret with you, but don't tell anyone. It's my birthday! That's right, on this day, many years ago, a pink bundle of joy landed in Granite City, Illinois to two of the finest parents ever. Over the next 38 years, they taught me so many lessons about caring, giving and achieving, among others. And before they left me, much too soon, they also taught me to be happy. One might wonder, can you teach someone to be happy? I say yes, you can. 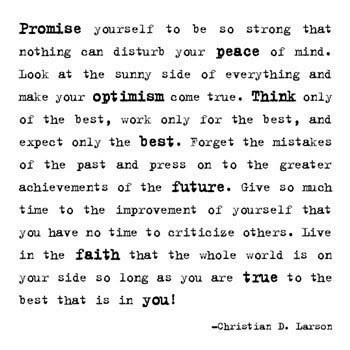 The world is a tough place with many corners that may lead one down the wrong path. As one struggles to find their way, they risk desperation, frustration, and a number of setbacks that might cause pain and generate a negative outlook on life. Faith allows us to overcome those obstacles; but not everyone has the gift of a supportive family. That is one reason that I heartily endorse the support of an Optimist Club.When one joins an Optimist Club, they find people who help them be their best. As we give ourselves in service to our communities, our best rises to the top. We share smiles. We share happiness. We share optimism. I hope you make today and every day a good day. 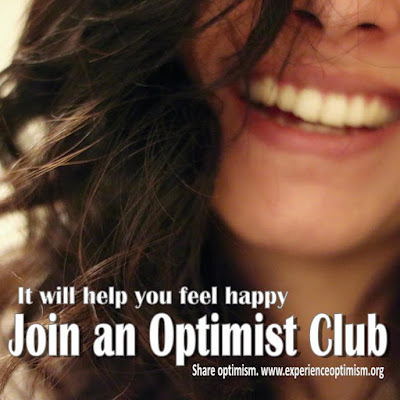 Feel happy, join an Optimist Club.